Why Invest in this Portfolio? Best for moderate risk investors. High returns in the long run. Want to earn high returns? Invest just Rs 5000 in the schemes mentioned in the blog. Are you having a hard time planning an investment for yourself? Is the fear of choosing the wrong product has retrained you from making investments? Are you whacked by the chaos involved in determining the investment amount and the uncertainty of fruitful reciprocation? Well, not anymore! Today, with MySIPonline by your side, it’s time to vapour up the complexities involved in the mission of investing in mutual funds. Just start with a minimum amount of Rs 5000 per month, invest via SIP, and you’re sorted! Thinking where and how to make investment? Go through the write-up till the end to find out everything! Why SIP and Why Rs 5000? SIP or Systematic Investment Plan means merely investing in mutual fund schemes in small portions over a decided tenure, instead of putting all your money at once. The reason behind opting this route is that it significantly chisels the risk factor as when you invest via lumpsum, all your money is exposed to the market conditions which could either go extremely negative or soar to greater heights. Now coming to the second part of the question. The amount of Rs 5000 is not quite a big amount to save on a monthly basis. However, if at some point you will require a chunk in lakhs, it would be a trouble to generate all at once. With this portfolio generate by experts after proper analysis and research, you enjoy the freedom of spending just Rs 5000 in place of facing the burden of slicing off a big chunk from your pocket. This will allow you to pay attention to other important commitments of life. Note: This portfolio is specially designed for moderate-high risk investors who are willing to invest for a time horizon of 7-8 years. As the portfolio is specifically made for moderate to high risk investors, 80% of the investment should be made in equity funds and the rest 20% should be given to an aggressive hybrid fund. The equity investment of 80% is further divided into three parts where 40% investment is made in a multi cap scheme, and the rest 40% is divided equally among a mid cap and small cap fund. This is one of the most impressive multi cap mutual funds which has shown exceptional results in the past few years. Mirae Asset India Equity Fund is managed by two popular fund managers Harshad Borawake and Neelesh Surana who believe in following the growth investment style and currently has 60 stocks in its portfolio. Being a moderately risky scheme, it has a well-diversified investment across various sectors. This reduces the concentration of the overall risk, and this is the reason it is suggested by our experts. The past performance of this scheme of L&T Mutual Fund has been really good, in short-term as well as long-term, and it has beaten its benchmark as well as category’s returns on all occasions. The average annual return since inception provided by L&T Mid Cap growth is 19.48% as on January 18, 2019, which is marginally better than any of its peers, making it an optimal choice for long-term investment. Coming to its portfolio allocation, the investment strategy is really good as compared to the current market conditions. The scheme has decreased the allocation in finance sector and increased it in construction, engineering, and chemicals, all of which are holding great opportunities for future growth. Thus, they are expected to help the scheme in generating great long-term returns. SBI Small Cap Fund is a scheme that has been among the top mutual funds of the small cap category. The scheme was launched in September 2009, when the equity market was recovering from the crisis of 2008. This was the reason that the start was a bit slow but in 2014, it picked a great pace and from then on, there was no looking back for it and this has lead it to show spectacular growth in the years ahead. ICICI Prudential Equity & Debt Fund is an equity-oriented and aggressive hybrid scheme that seeks to build humongous wealth, through an investment in a mixed bag of equity and related instruments as well as debt and money-market instruments. It is one of the largest funds in terms of assets managed, which currently stand at Rs. 26,695 crore as on December 31, 2018. The NAV, or per unit price, of this fund stood at Rs. 127.4 on Jan 18, 2019. The fund managers Mr Atul Patel, Mr Manish Banthia. and Mr Sankaren Naren follow a blend of growth and value investment style. 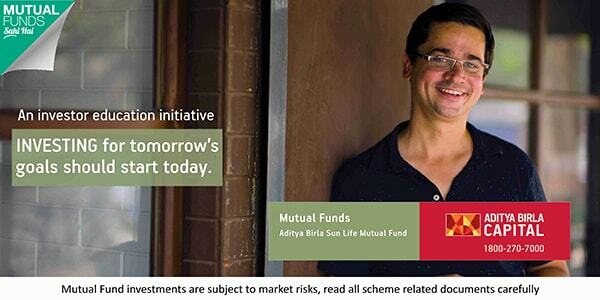 The fund invests around 65% in equities which can even go up to 80% depending upon the market conditions. It is a great option to invest to meet an unexpected or emergency exit, if arises. It doesn’t matter whether you are an expert investor or have just begun your journey in the field of mutual fund investments, if you can stomach in moderate to high risk, then the SIP portfolio mentioned above will certainly help you to reach your goal. On considering the expected annualized rate at 12-15%, the growth value which can be generated from the portfolio would range in between Rs 11.5 lakh to Rs 13 lakh in 10 years. We would recommend to invest in now for long-term tenure of 7-8 years as the NAV of the funds is comparatively lower due to recent correction that persisted from the last year. To avoid any pitfall on the road of your goal achievement, we would further recommend that you connect with our experts to seek personalized advice on the same. In case you have any query, feel free to submit them in the form provided below. What Is the Best Time to Invest in Mutual Funds? How to Select Best Mutual Funds | म्यूच्यूअल फंड की Risk | Best MF Portfolios As Per Risk Appetite!..